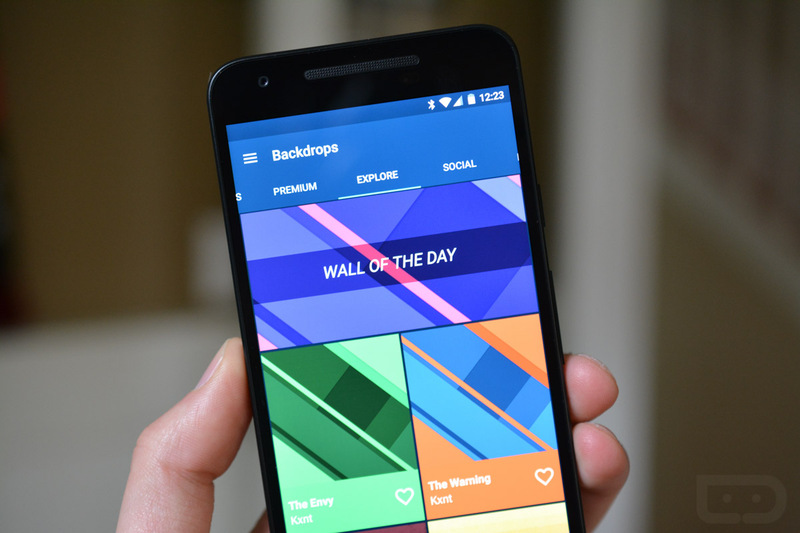 Waaaaay back in October, we featured an app called Backdrops, a wallpaper app with a Material Design focus that was pushing out daily ‘papers, collections, the ability to share your own with the app’s community, and an incredibly clean appearance. It’s a really nice wallpaper app. This week, the team behind it released a big update that introduces Google sign-in, so you can now sync your favorites across all of your devices. This is one of those features that multi-device owners will surely appreciate. While unrelated in content form, this was my reason for switching to ParcelTrack for package tracking. Device sync is a big deal, especially as many of us migrate from device to device, whether that’s between personal devices only or work and personal. To celebrate this big update, Backdrops reached out to offer the DL crew 50 promo codes for their Pro version. The Pro price was at one time $1.99, so we’re here to save you a couple of bucks. How to win a promo code. To enter for a chance to win, all you have to do is follow the Rafflecopter widget instructions below, which is basically going to tell you to leave a comment about Backdrops. So you have two steps here. You need to enter information into Rafflecopter, because this is how we’ll choose our winners. Then, after doing so, jump below and leave a comment about Backdrops and why you are interested in it. If you don’t do the Rafflecopter portion and instead just leave a comment, you won’t be entered. I apologize if that sounds difficult, but the widget makes it really easy for us to pick winners. We’ll choose our winners later today at 2PM Pacific. UPDATE: Winners picked and codes emailed! Check those inboxes.